The recently retired police chief of Oregon, Wisconsin has been charged with tax fraud after allegedly failing to report income earned while moonlighting at an area club. The charges were brought by the Wisconsin Department of Revenue. According to a criminal complaint filed in Madison, Wisconsin, retired chief Douglas Pettit failed to disclose $14,000 of income in 2010 and $15,500 in 2012. He is charged with two counts of felony tax fraud. Until his recent retirement, Pettit had been Wisconsin’s longest serving police chief. He earned $96,000 per year. As a result of his actions, he was forced to retire and may lose pension benefits and his liberty as well. After the Wisconsin DOR launched its tax fraud probe, village officials started their own investigation. The town soon learned that the Chief hid police reports about incidents at the Union Sports Club so that the club could renew its liquor license. Pettit moonlighted as security for the club and scheduled other town police officers to work there. After the problems came to light, Chief Pettit retired and the club lost its liquor license. The hiding of police reports is significant because the chief is required to inform the village board about problems with liquor licensees when the licenses are up for renewal. Although he allegedly reported that the club had no problems, a village official later found out there were 344 incidents! Chief Pettit paid the officers working club security details in cash and refused to issue W-2 tax forms. He also told one officer that she would be paid by the village if injured while working security for the bar. According to the criminal complaint, one officer claimed Pettit said, “They’ve got me on tax evasion, and if it was you, they wouldn’t make a big deal with it, but because its me and who I am, they won’t let it go.” He may be right. 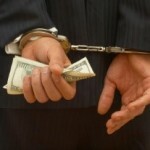 In our experience, unreported income of $100,000 or less is rarely prosecuted criminally. Allegations of paying employees under the table and Pettit’s misconduct in public office make this case an exception. In lower dollar cases, public officials, accountants and lawyers are more likely to be criminally prosecuted for tax fraud . If you are under investigation for tax evasion, tax fraud, failure to file tax returns or money laundering, seek legal help immediately. 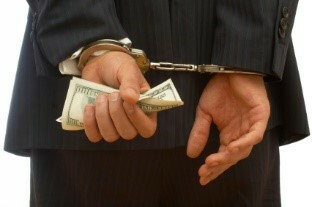 Most tax fraud crimes are felonies punishable by several years in prison. or by telephone at (414) 704-6731 (direct). All inquiries are protected by the attorney – client privilege and kept in complete confidence.